Day 3 of July sneak peeks! Day 3 of sneak peeks is here! thanks for coming back! These little geese are just the cutest! On a day where you need a hug, these little guys would just brighten your day instantly! Usually our stamps of the month are free with a $50 order, but we are doing a special in July....these geese are FREE WITH A $35 ORDER! This set is so perfect for a picnic invitation, scrapbook page of your summer picnics, or just an anytime card. Who could resist this adorable little skunk and bee? What a cute kitty! My little kitties were never so cooperative when we put them in a cup....I have pictures to prove it! The girls on the design team did an excellent job coloring all their little kitties......too cute! This little set is a must have for scrap pages, summer birthday card invites, or just a sand scrap book card to give to your grandmother! This little life ring will go perfectly with any of our nautical sets! Don't forget to send some Lifesavers candies with this card! Day 2 of July sneak peeks! Thanks for coming back for day two of sneak peeks! This little set is just the cutest! He is so sweet to convey so many messages! Thank you, get well, praying for you, and more are all covered by this set! This set I designed with the intention of having a main focal image and then having the scripture down the side. I thought it would be something different! This little set is so cute! Perfect for summer and the most adorable sayings! You have to read them...our little Dairy waitress just has so much good advice! You can also get these digital accessories for this set....aren't they adorable? Go here to buy the matching pieces! See you tomorrow for day 3 of sneak peeks! 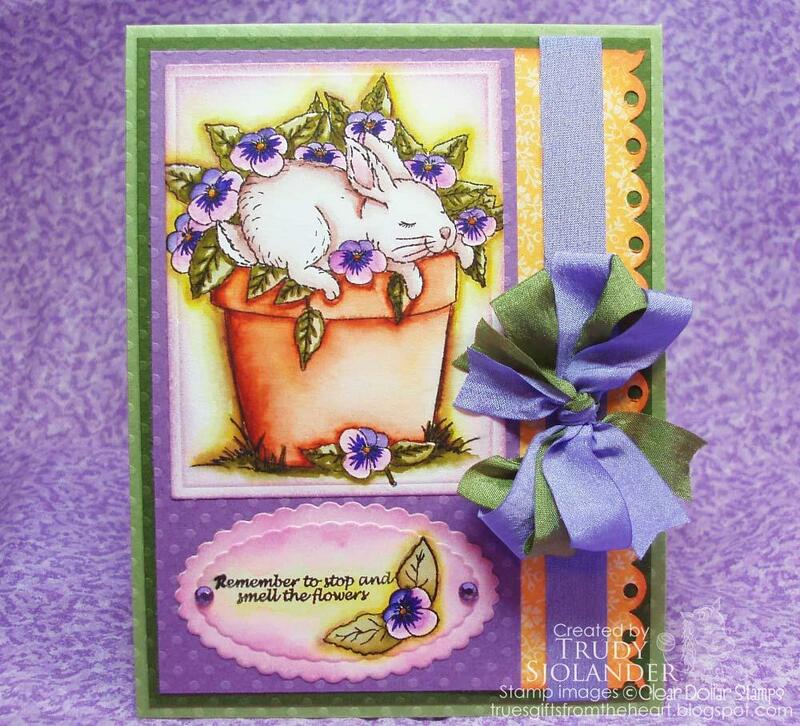 Thank you to all who submitted for the Clear Dollar Stamps Design Team Summer session of Clearly Crafty Crew! Every single one of you had Design Team talent! It is such a difficult task to only select 3! Vicki Dutcher will be joining CDS as a digital only designer for us. I hope you will agree that all these ladies are all extremely talented. So, with a big hello and a sorrowful good-bye, please help me celebrate all these talented designers. Let the July Sneak Peeks begin! Welcome to July Sneak Peeks! You will not be disappointed in all of our wonderful new stamps and products this month! Let's get started! I will have to say it has some of my favorite colors in it! Go to Clearly Coordinating store section now! Have you ever had a picture in your mind of the colors that you wanted a card? Or had cardstock colors picked out but couldn't find a matching paper? Me too! So I have decided to create a series of backgrounds that will help fill in the void where our paper stashes fail us! This background stamp is just almost 5x5 inches and is so versatile! Take a look! First you need to make sure you have a mouse pad or something to stamp this large of a stamp on....otherwise you will end up with missing parts of your image. 1. Ink your stamp with Versamark embossing pad. 2. Apply embossing powder to your image and heat with embossing gun. 3. Color in your dots with Cotton Candy Tombow or Copic marker. 4. Draw your Fresh Papaya line as shown....I didn't watercolor it or anything! I used my Fresh Papaya Tombow marker, but you could use a Copic marker too. 5. Assemble card! So simple but so pretty! Katie designed this card.....I just love what she did with her background stamps! Just gorgeous! Another way to add a subtle bit of interest to your cards....color on color. 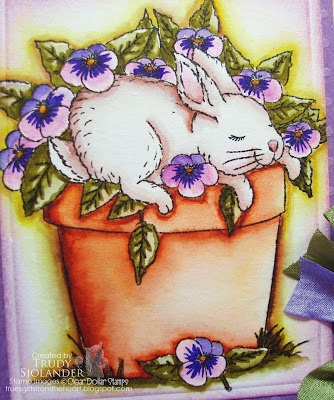 Tricia designed this card....again, a very subtle way to add interest in the background. Now, this set, at first glance, doesn't appear to be much, but wait until you see what it can do! You are going to see this is a must have set! Polka dot backgrounds, watercolored, overlapped circles, flower bouquets....just endless possibilities! This little background took me 5-7 minutes...not much at all! I've shown you how below and given you a template to make it super easy! Other: Rhinestones from my stash and Color Crazy Flowers available July 1st! Some people just can't random stamp to make backgrounds....their minds don't work that way....I've seen it first hand in classes! So I created a little grid to help you create evenly spaced backgrounds. Scroll down for the FREE download! I used a lightboard to see my grid through my cardstock....if you don't have a lightboard, you can tape it to a window or put a lamp under a glass table top. Make sure to not miss the flowers on the edges. Just because you can't fit the whole flower on the card doesn't make it any less important! This is a very simple stamp....with a very simple price, and you can do super simple and cute backgrounds with this stamp! Take a look! Katie used the chisel end of her copic marker to create this adorable plaid background! This background I created by embossing on the black stripes. I wanted to watercolor this, so I need channels to hold the water. CDS stamps: Striped Background and Bitty Bots (the inside of the card says "your age does not compute"......I just love that saying from this set! I used the Distressed Stripes Cuttlebug embossing folder to give it a little dimension. Hope your day is filled with blessing and stamping galore! See you tomorrow for more sneak peeks! As many of our friends and customers know, we design many of our stamp sets from customer requests. So we have decided to make a special Friday each month to highlight of few of those sets! We are designing your Wish List....thus Wish List Friday! These are available for you to purchase today! This month we listened to our Cricut Friends and designed a couple of sets just for them! These two sets are designed around the Storybook Cricut Cartridge. This cartridge has many beautiful shapes to choose from to accent cards and scrap pages! The first shape that I focused on is the Marquee 1 (page 66 of the booklet). These shapes fit the Marquee 1, Accent Blackout, sizes 2.5, 3.5, and 4. This little guy is so cute nestled in our Marquee frame! Have you ever been at a potluck dinner and needed to label something? This just happened to me on Sunday (Father's day). We had 4 different kinds of brauts and needed to label them....what to do? So I decided to make something with my new stamp set: little food skewers! Ready to go when your guests arrive at your home or church with their food! Perfect for church pot luck dinners! For larger stamps like this, surface is everything! To get the image to stamp completely, I used my mouse pad! It "gave" just enough to let the complete image stamp. This will save you a lot of frustration! 1. Stamp up a bunch of your white labels (Marquee 1, 4.5, Accent Black out). 2. Cut out shadows in Blueberry cardstock (marquee 1, 4.5, shadow). 3. Apply two sided tape to your shadow as shown. Make sure not to put any tape at one of the points on the long side. This is where your skewer stick slides in. 4. Attach your white label to your blue shadow label. 5. Slide skewer sticks in the pocket that you formed when you glued them together. I broke the sticks to different lengths for variety. DO NOT GLUE THEM IN if you have to write on them later. By leaving them unglued you can slide the sticks out to write on the tags! 6. Fill your bucket with sugar and arrange your food labels into an adorable decoration! The flowers on this card are another new product for July 1st. Those flowers started out white, and I colored them with our coordinating markers to match perfectly! You can still use this set, even if you don't have a Cricut! Stamp it straight on the card front, or you can hand trim it....super easy! This set is designed with Scrapbooking in mind....which is top of mind for every Cricut owner! I thought it would be nice to have a few stamps to embellish those nice labels from the Storybook Cartridge! Look at all the journaling blocks you can create with this set! This set is also great for cards! A little hint on the shape for this set....I fit the stamp to the cutout and marked with permanent marker on my stamp, so I wouldn't have to find the right alignment every time. Works great! Not only can you use the brackets for a journaling block, but use them to frame your favorite quote. Hi friends, its Katie here with Tuesday's tutorial but on Wednesday :) Today, I've got one final Father's Day idea for you. I think this would work for any type of father out there. I combined my idea with that great PDF woodgrain freebie that Lori created from last week. I just couldn't get enough of it. CLICK HERE to get to the free download. So let's get started. For this project you will need 2 sheets of printed woodgrain and 2 pieces of cardstock. We'll start with the top portion. You will need a piece of cardstock measuring 8 1/2" x 5 3/4"
Score 2" in along the 8 1/2" side. Flip and score in 1 3/4" on both sides. Next, you will need to cut a piece of the printed background measuring 1 3/4" x 5"
Attach to the middle section of top piece. Next, I used the second to the smallest circle in the small set to create my openings for the top. Apply adhesive and fold up. Its now time to create the bottom of the container. You will need a piece of cardstock measuring 8 1/2" x 11 3/4"
Score along both the 8 1/2" sides at 1 3/4". Score along both the 11 3/4" sides at 5". 1 3/4" x 5". Attach the 5x5 pieces. And the side pieces. There will be a bit that over extends, but don't worry. Flip the box over and decide with side will be your front. Apply adhesive all the way across the top, but only extend down about 1 1/2" or so, just the height of the top portion you just created. Lay the top portion down where you just applied the adhesive. Lift flaps and attach to the upper top. Next, apply adhesive to the outside of the flaps and the bottom sides and the "top" portion of your bottom. You can just make out where I already laid my adhesive in the picture. Attach the flaps to the inside of the box. Lift the bottom portion upward and attach to the smaller box portion (top) and then bring in your side flaps. Your organizer/ pen/pencil holder is finished. At this point the sky is the limit as to how you would like to decorate it. Imagine putting a fabulous picture of the kids on the front. I chose to create a plaque of sorts and spell out DAD for my front. I cut a piece of the woodgrain background as well as a couple of extra pieces of cardstock to give my piece some thickness. I used a nestability for this, but you could just cut and use a ticket punch. I then grabbed some chipboard letters that I have in my stash, inked them, and then used the woodgrain stamp to create some texture for my letters. Then just pop dot it right onto the front of my organizer. I also did a lot of direct ink to my edges... love the look. And remember those cards from last week? Perfect combo! Well that's it folks! An early Happy Father's Day to all those Dads out there! Thanks as always for joining us at Clearly iStamp. I hope you have a wonderful Wednesday! Fourth of July is just around the corner, summer is getting into full swing and every now and then we get to catch a moment for ourselves (especially for moms!). Digi images are just perfect for that "moment to ourselves" as we can buy it and have it the same moment! We hope that you enjoy our digis for this month and they inspire you to sneak away to your special crafting place! We are just sure you are going to love what we have for you this month....so let's get started! Don't forget we have a quick little tutorial here for you if you aren't sure how to use our digi images! Visit our June Digi Idea gallery here for all the recipes for these delicious cards! This little bird is perfect to watercolor for artwork to frame or to send to a friend just to let them know you are thinking about them.....AND it is free with any purchase! Yes FREE! You just have to see the samples made with this set! What a beautiful way to show someone who serves for our country how much we appreciate them and the sacrifices that they make for us every day! Doesn't this set just make you giggle? Oh my goodness! I think I am going to have a Fourth of July party at my house just so I can make some table decorations! Isn't it funny that a STAMP SET can inspire a messy creative person to clean their house???? You fellow "messies" know exactly what I'm talkin' about! One of our most popular stamps is our Porch Conversations which is a very peaceful porch swing scene. We thought everyone would like this digi set as well. Again, just another way to let others know you are thinking of them....and many times that is all that someone needs to know to be encouraged! What sweet little birds! You are going to love these sweet little birds on all your cards and scrapbook pages! We can't wait to see the creations everyone makes with all of our digis this month....see you in blog land!